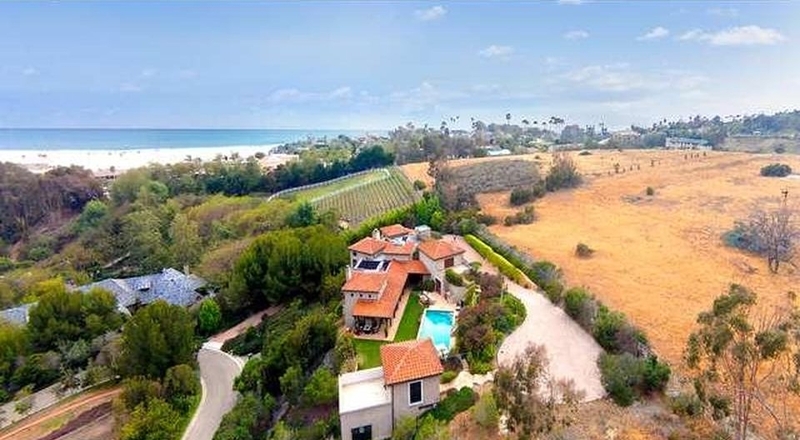 Extremely Private, Exclusive Property boasting gorgeous panoramic ocean views. The home is on large grounds and Includes separate two-level pool house with gym. Charming all new landscaping and irrigation system to conserve water, includes two fruit tree orchards, beautiful salt-water pool and spa. Great outdoor setting for dining and entertaining. Interior has gourmet cook's kitchen and family room with fire place. Large island for eating, entertaining and cooking. Side by side Sub-Zero refrigerator/freezer, large Wolf range, Miele Dishwasher. Butler's pantry has a sink, two sub-zero wine refrigerators and an ice-maker. 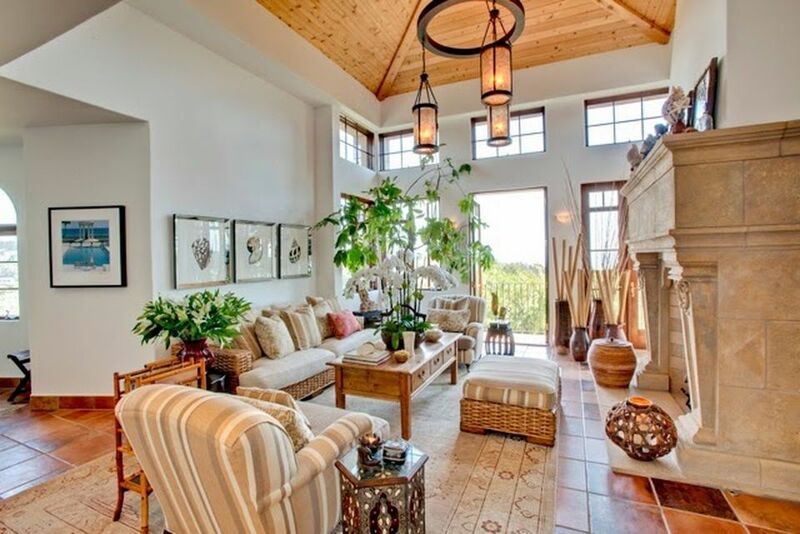 The living room and dining room have ocean views, large fireplace and gracious high ceilings. There is a library/office with great views as well. Master Bedroom with Ocean Views, Private Deck and Master Bath with Stand Alone His and Hers Sinks, Steam Shower, Rain Head, Wall Head, Hand Shower and Body Sprays. Self Standing tub for Two and TV. Lower level has three bedrooms and small screening room and Sauna.